CLA's Recently Renewed Members For October! Andi Leopoldus - AKL, Inc.
CLA thanks you for your continued membership for another year! Remember -- you can search all CLA members on the website. The hearing for Rulemaking for the Colorado Rules Concerning Lobbyist Regulation (8 CCR 1505-8) will be April 16, 2018, the Colorado Secretary of State's office has announced. The Colorado Lobbyists Association favors some of the rules changes but opposes others. You can read our written position here. Members: Read the members-only discussion on the regulations. You must be signed in to view. Capitol ID Card legislation, which passed third and final reading in the Colorado Senate, moves next week to the Colorado House's State, Veterans, & Military Affairs, where its future is much in doubt despite overwhelming support among lobbyists surveyed by the Colorado Lobbyists Association. 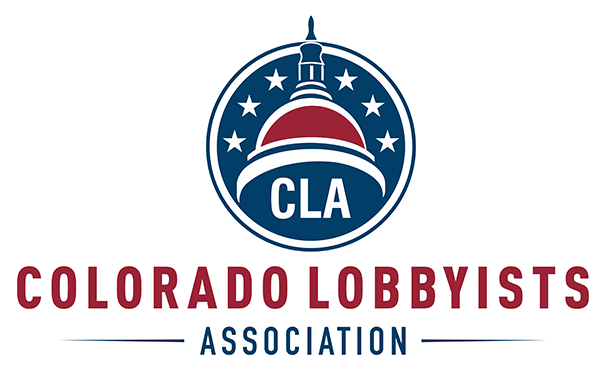 More than 91% of Colorado lobbyists (members and non-members of CLA) surveyed support an ID-card bypass, and CLA this year has conducted a “Capitol Clear” campaign to bring awareness to the issue. But a majority of Democrats who have voted so far have opposed the legislation, citing objections from the Colorado State Patrol. Proponents insist that the issuance of security bypass cards will enhance security because scores of people will -- for the first time -- voluntarily undergo CBI fingerprint-based background checks and will bypass metal detectors only if approved by the State Patrol. The card will speed up service for others who come less frequently to the Capitol or don't want to pay the $100 price of the card. SB18-116 is second on the calendar on Wednesday, April 4, 2018. The hearing is 1:30 p.m. in Room LSB-A. Matthew Cook of the Colorado Association of School Boards leads CLA’s 2018 March Madness Bracket Challenge with a score of 73, and Allison Daley of Colorado Counties and Jennifer Corrigan of Colorado Children's Campaign would both be in the money if the contest ended today. But the contest hasn’t ended, and that means the Colorado Bar Association's Jeremy Schupbach and Axiom's Strategies' Michael Steppat both have a chance at the top prize: a $100 Visa gift card and state lobbyist corps bragging rights. Second prize is a $50 Amazon gift card, and third prize is a $20 Lyft gift card. Favoring Schupbach and Steppat is that both picked Kansas, which prevailed in the Elite Eight. Cook took Duke, which lost to Kansas. Daley and Corrigan technically have a shot to win, but they picked Virginia and Xavier, both out, to win it all. You can follow the exciting conclusion on the official leaderboard! Zane Kessler of the Colorado River Water Conservation District is the newest member of the Colorado Lobbyists Association. The River District was created by the Colorado Legislature in 1937 to provide legal, technical (engineering), and political protection for the Colorado River and its principal tributaries within Colorado. The River District, located in Glenwood Springs, operates with a staff of 25, including staff assigned to the operations of Wolford Mountain Reservoir Project near Kremmling, Colorado. Just ending its fifth full month, CLA is two-thirds of the way to its first-year goal of 100 professional lobbyist members.